Description: A problem on interaction of plane acoustical waves with curved cylindrical system of circular cylindrical transducers and acoustic baffle of final transmittivity was stated and solved. Connection acoustical, mechanical and electrical fields in each transducer and mutual effects of waves reflected of all system elements were taken into account. Analytical formulas for calculation of field parameters arised during system work are presented. Kandrachuk, I.V. 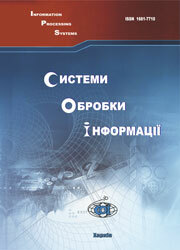 (2008), “Raschet zvukovogo polia, formiruemogo sistemoi tsilindricheskikh pezokeramicheskikh preobrazovatelei i ekrana”, Information Processing Systems, Vol. 7(74), pp. 49-53.